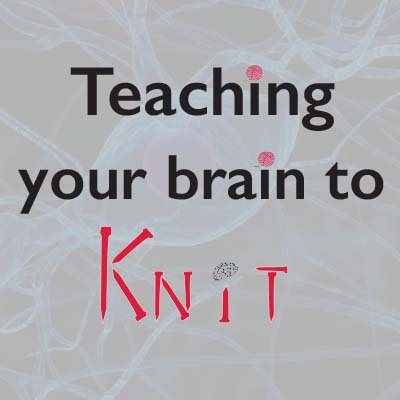 Welcome to the Teaching Your Brain to Knit Podcast. To listen to our most recent podcast episode, click the icon on the upper right of this page Or click the “Show Notes” tab to find out what Margaret and Catherine are up to most recently and get links and photos from our shows. For Apple Products (iphones, ipads): Use the “Podcasts” app (it’s on newer devices or you can download it for free from the App Store). Click the magnifying icon on the bottom right and type in the name of your program (Teaching your Brain to Knit) and then tap “Subscribe”. For an Android device: Try the Stitcher App (there are others) and write in “Teaching Your Brain to Knit”. Ravelry (The free knitting community) — http://www.ravelry.com/groups/teaching-your-brain-to-knit (join us) Margaret 924 and MagicWombat Check out our nifty community. I know you have mentioned your Ravelry and Instagram names on the podcast but, could you list them here or in the show notes also? Thanks so much. I absolutely love your podcast! Great idea, Gini. Thanks for the suggestion. And thanks for listening. Heard about your podcast from Paula from Knitting Pipeline. Good for you gals- can’t wait to start listening!! I think there’s some links to her research in life-long learning techniques. This is really cool. I told a colleague of mine about it (a Dance teacher) because she teaches a dance science class and she was interested too. She says she also teaches her class with strings attached to different parts of the students’ bodies. Thanks for the link. I was hoping to test myself on color perception. Is it possible to post a link? You are one of my favorite podcasts. I looked forward to each new episode. Thanks for the kind words Marylee and please forgive me for taking so long to respond. Here are the links to the color research Catherine did. The first one is the test. Catching up on your podcast. What I gained from your podcast, which had a huge influence on my knitting is (sorry, I don’t remember who said it) but I knit for the PROCESS, not the finished project. I was always rushing to finish a project, had many mistakes and knitting was becoming stressful! Thank you for helping me understand that knitting is for the process, not just finishing a project. This note’s only purpose is tp THANK YOU both for a very educational adult podcast. I appreciate hearing about your part of California, brain information you want to share, plus of course the knitting comments that first drew me to your podcasts. I wish we (the people who enjoy you) could stand up and cheer your lack of ads, begging for donations etc. That you give us these minutes as a gift should be acknowledged by us all. Thank you again. Please stay with us for a long long time! Love the podcast. Keep up the informative and fun work! Thanks so much for giving us a pat on the back.